Although not technically a Mediterranean country, Bulgaria is recognised as a concentrated hotspot for much of the insect and floral world in southern Europe as well as enjoying many of its own specialities given its diversity of habitats in a relatively small area. This makes it an idea destination for this macro focussed trip with morning trips to remote meadows in search of Apollo’s alongside an array of Coppers, Blues, Skippers and Fritillaries on the butterfly front interspersed with days searching for orchids and lilies, beetles and crickets, checking our overnight moth traps and scouring streams for terrapins, tortoise and toads. If you love the close-up photographic world then this will be your ideal trip in a series of tranquil settings that haven’t changed for decades and are alive with macro opportunities as a result. Day 1: We are due to arrive at Sofia Airport at roughly the same time where we will be met by our Bulgarian guide Emil Enchev who we will be travelling and photographing with throughout the trip. We will then travel to our base near the dramatic UNESCO site of Rila Monastery for the weekend where we will check in and then dinner will be provided. Over dinner we can discuss what to expect over the coming days and hints and tips will be provided. Day 2: The cooler mountain air around Rila is perfect for early morning photography in the amazing wildflower meadows that are a reminder of just how pastures used to be here in Britain. We will be out early to capture butterfly species that should include plenty of blues, skippers, coppers and fritillaries before they warm up for the day. After a late breakfast we will concentrate on looking for orchids higher up the mountains before returning to the meadows as the day cools down and the butterflies head for their roosts. Day 3: A further early morning session in the meadows before we check-out of our hotel and head to the hot Mediterranean climate of the gorges of the River Sturma south of Blagoevgrad where some specialist species such as little tiger blue butterfly will be amongst our targets. After a day in the heat we will be glad to move to the village of Melnik in the sub-hills of the Pirin Mountains with its cooler climate and our base for the next two days. Days 4 – 5: Our two full days here will allow us to not only concentrate on some of the butterfly specialities of the region but also cast our macro net wider with some moth trapping overnight which always brings some surprise species, but this is an area where Egyptian scarab beetles, terrapins and Greek tortoise, crickets, and dragonflies are aplenty so we will not be short of photographic variety. The beautiful natural sandstone pyramids of the area make for a stunning landscape setting and additional photographic opportunities. Day 6: After a final early mornings photography and checking of the moth-traps we will travel east to the village of Tigrad in the Western Rhodope mountains where we will base ourselves for a further 2 nights, an evening walk when we arrive giving us the chance to start searching for our new subjects. Days 7 – 8: The Tigrad area is our best chance for reptiles (especially lizards) during the course of the trip, but there are plenty of other highlights including yellow-bellied frog, the stunning apollo butterfly (we are in peak season so there may well be roosting groups as well as individuals to work with) and a fresh array of orchid and other mountain flower species to photograph.On the afternoon of day 8 we will begin our return journey back to Sofia where we still stay for our final night. 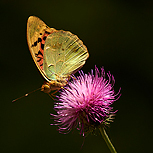 Day 9: We have planned a final early morning session in a new setting of the Vitisha Mountains close to Sofia with a new array of alpine meadows full of thistles that attract a fresh collection of butterfly species. Sadly after a late breakfast we will make the final journey back to Sofia Airport to catch our return flights back home. It far exceeded my expectations. Ellie is a wonderful leader and worked so hard for us. I would happily do another trip with her and a bonus would be if she was teamed with Miro. Ellie couldn’t have been more helpful. She was always prepared to give us one to one time and I personally am thrilled with the improvement that this has made to my photography. With the skills of Miro and Ellie juggling the itinerary, making the most of windows in the weather and being great company, it was one of the best Natures Images trips we have been on. Ellie and Miro provided ample guidance as to what we should be doing in order to achieve something approaching the standard they themselves maintain. A very significant amount of work by both our trip leaders was taken up in getting settings right for each shot. I couldn’t be more impressed with the effort both Ellie and Miro put in to make sure we got what we came for and this was done with the very best by way of attitude and humour from both of them. Ellie and Miro were excellent as usual. They work well together as a team. All transport, accommodation meals and any park permits required throughout the trip. We will be staying in comfortable small Balkan hotels typical of rural Bulgaria. Costs are based on a twin room sharing basis but single room supplements are available on request. There will be some walking involved to reach some of the more remote meadows we aim to photograph in, and this will be in hilly and uneven terrain. None of these walks represent major hikes though so are unlikely to be more than 15 minutes or so in duration. 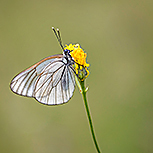 There will be regular early mornings throughout the trip in search of roosting butterflies before breakfast.